Observation - Coots - UK and Ireland. Description: Some of several Coots seen on the river and in the Cardiff Wetlands Centre, during a Gwyl Taf nature walk. 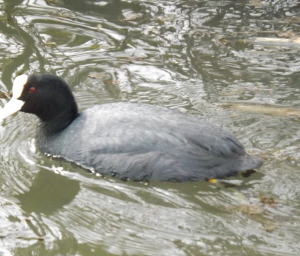 Some of several Coots seen on the river and in the Cardiff Wetlands Centre, during a Gwyl Taf nature walk.